We knew it wasn’t Brody. When Carrie’s ex-boyfriend and baby daddy appeared before us in what was truly a heart-stopping moment in “Homeland,” we all knew it was too good to be true (or “too bad to be true,” really, because resurrecting the definitely dead character would have opened up too many doors). So when it turned out to be Aasar Khan, the duplicitous ISI agent, no one watching was shocked…right? Okay, I”ll admit it. For a second, I thought the “Homeland” producers had pulled off one of the most shocking twists in television history. I knew, during the scene, Carrie hadn’t yet said his name, and he, non-Brody, had yet to make any declarative statements toward his identity. I was also well aware Carrie was in the middle of one of her most massive meltdowns yet (more on that soon), but still, for a moment (or maybe even two) I thought perhaps they’d done it. 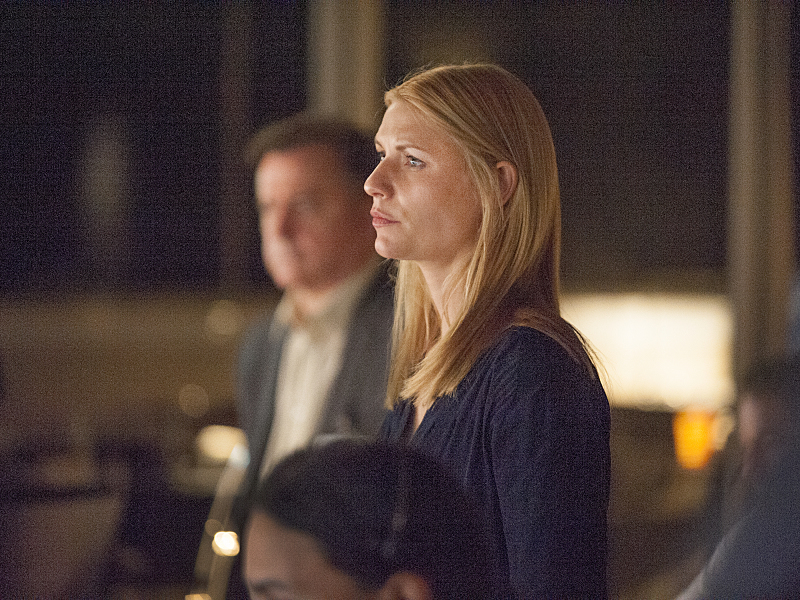 That is how effective the “Homeland” crew has become with its twists over the years. Nothing, not even a Lazurus-esque resurrection (yes, I saw “Interstellar” this weekend — but don’t worry. That’s not a spoiler.) they’d sworn wasn’t going to happen, is completely off-limits. We’ve gone over the biggest twist of the episode already — and frankly, there wasn’t much else to rave about in the episode. Looking past the Brody scare, “Redux” felt very much like exactly that. Carrie has snapped — again. She was wearing a straightjacket — again. She’s alienated everyone who cares about her — again. “Redux” may be an appropriate title, but all-in-all, it’s too spot-on to be complimentary. Early in the season, I complained about “Homeland” becoming slightly redundant. With the main plot point being Carrie sexually targeting another asset who may or may not be a double-agent, events in the story felt recycled. Those expectations were wisely subverted in Episodes 5 and 6 (by far the best of the season), but now we’re pretty much back on the old train again. The only exception? Saul’s life is still at risk. This ups the stakes as they’ve never been upped before, and makes Carrie’s quick return not only necessary, but universally desired. We all love Saul, so that means we all must love Carrie right now, too. Even if she did try to kill him. Remember last week when I said Carrie wasn’t quite at a full-on 10/10 crazy level? My only reason was we had yet to see her face go all warped and voice sound like a malfunctioning megaphone. Well, we got all that and more in “Redux.” Carrie’s mental stability lessened with incredible speed, even when considering that the drugs given to her were most likely amplifying her condition. Let’s recap: She went from speaking quickly to Khan, to shouting at Lockhart, to making a security guard show her his lunch, to having a minor panic attack in her apartment, to screaming at a college-aged nurse, to throwing up in the street, to shooting two random citizens, to realizing she didn’t shoot anyone but was instead using her finger as a gun, to hallucinating that the love of her life had returned from the dead and orchestrated her drugging, kidnapping and exclusion from the CIA. The only question left is whether or not this is Carrie’s most catastrophic meltdown. Well. What do you think? Is it? 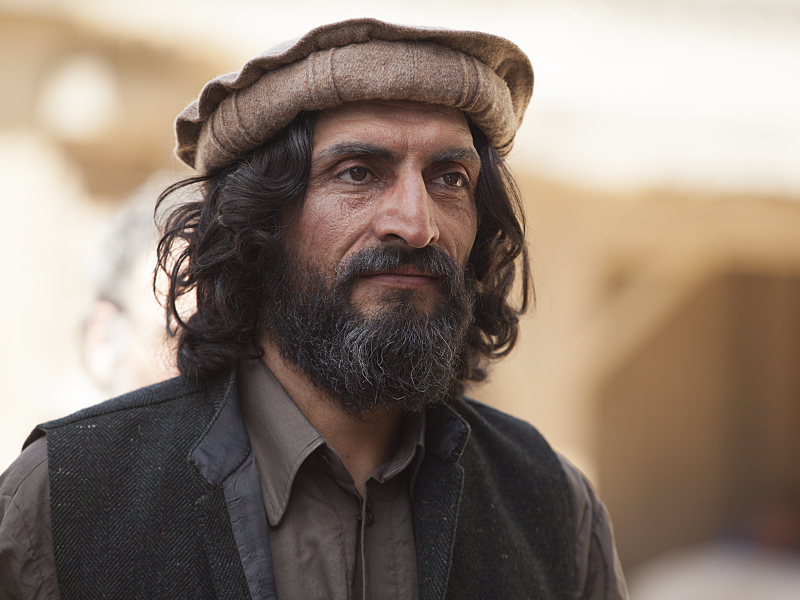 I don’t know if this is anti-American or just sacrilegious to “Homeland,” but Numan Acar gets tonight’s MVP honors for providing a more-than-human face to the terrorists our protagonists are hell-bent on killing. Just one week after executing his own nephew, Haissam Haqqani twisted viewers’ emotions in the most delightfully complex way by refusing to back down on his own beliefs and making an emotionally compelling argument for his work. Don’t get me wrong. The dude needs to die. Saul, the heart and soul of “Homeland,” laid out more than enough reasons — and without touching on all of them — in a captor-and-captive’s dinner discussion for the ages. “You have taught an entire generation to live with one foot in the afterlife,” Saul said, after Haqqani tried to convince the ex-CIA director his actions were justified. Haqqani tried to play the religious card, but Saul again put him in his place by succinctly stating, “I’m a Jew,” to which Haqqani could only muster a short-breathed “Well,” in response. MVP honors could also go to Saul for providing such a magnificent argument for why Homeland Security does what it does, but Haqqani beats him by a sandal’s width for embodying the enemy without caricaturization. This is the discussion being had by “Homeland” Season 4 — is the ever-growing kill list and overall mission of the modern CIA justifiable, or is it an exercise in exacerbation and redundancy? The image of Haqqani’s hand out the window, driving in the daylight while traveling to see his family will stay with me for a while — and I’m sure it will be stuck with Saul, as well. Consider the above choice a cheat if you want, but honestly it matters more than you may think. “Homeland” Season 4 was making a valiant attempt to move on from its elongated first storyline, and while it may not have been batting 1.000 for the season, it was working toward something original after the past two weeks subverted viewer’s — or at least this critic’s — expectations. Then tonight they decided to play the Brody card. We all knew Lewis would be back at some point — not as a living, breathing Brody but certainly in a flashback or a lost memory. His child is out there still, abandoned by his mother, and eventually we’ll get back to Frannie. But was now the right time to bring back Brody? Admittedly, they still could. 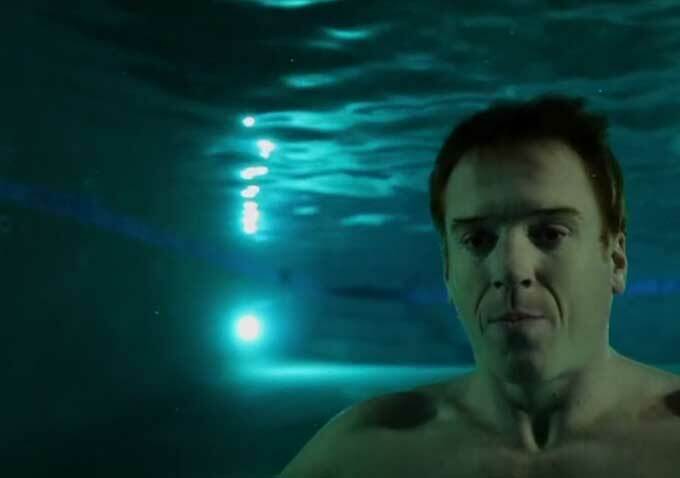 We could still see him in the exact scenario outlined above — but was it wise to tease fans with a past storyline after we were so close to being sold on the “new” “Homeland”? The excitement was undeniable, even for viewers wiser than I who never bought into Brody’s return. Yet something about it doesn’t sit right after thinking about the episode’s non-twist ending for all of 30 minutes. It’s time to let Brody’s body — and image — rest. “Homeland” can live on without him. At least, I thought it could.